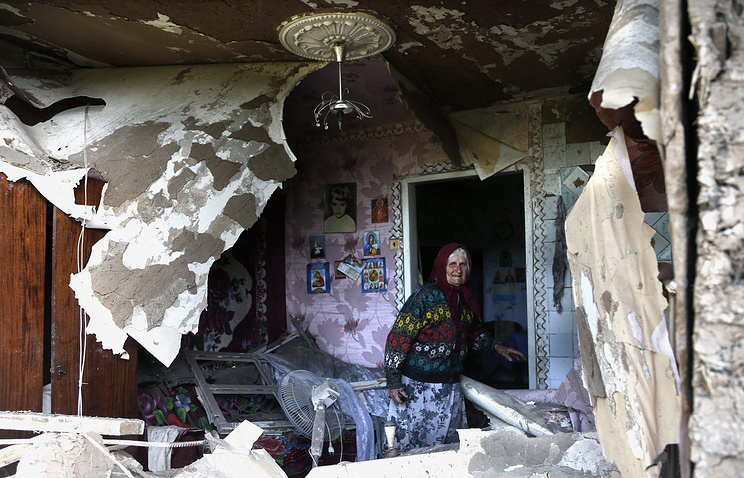 SLOVIANSK, June 8 /ITAR-TASS/. Four civilians, including a child, were killed in the Ukrainian military’s artillery fire on the center of Sloviansk in east Ukraine, local self-defense forces told ITAR-TASS on Sunday. There were many people in the center of the city on Sunday as a festive service had just ended in the church located in the square, the self-defense forces earlier said. It was relatively calm in Sloviansk on Sunday morning. 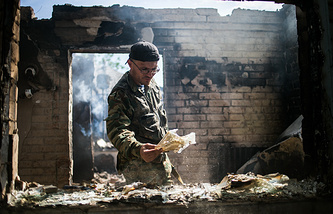 The Ukrainian military were shelling the city’s Chervony Molochar and Mashchermet districts and also the settlement of Semyonovka near Sloviansk but no serious damage was reported. The local self-defense forces retaliated with fire against the Karachun mountain, which is the place where the Ukrainian military and National Guard are located. Kiev is continuing its punitive operation in east Ukraine, despite the pledge by the newly elected Ukrainian President Petro Poroshenko to “bring peace” to the Donetsk and Luhansk regions.